Famous people always act like they’re best friends with all other famous people, but when pitted against each other they’ll go for blood faster than a vampire at a Red Cross tent. Celebrities are specifically trained to suppress this violent urge at award shows and premieres, but every once in a while they’ll let it out and try to destroy other famous people in hopes of becoming the most famous person. Thankfully, Jimmy Fallon and Spike TV have given us Lip Sync Battle, a relatively safe and wholesome way for celebrities to try and destroy each other, and Deadline is now reporting that the show has been picked up for a third season. 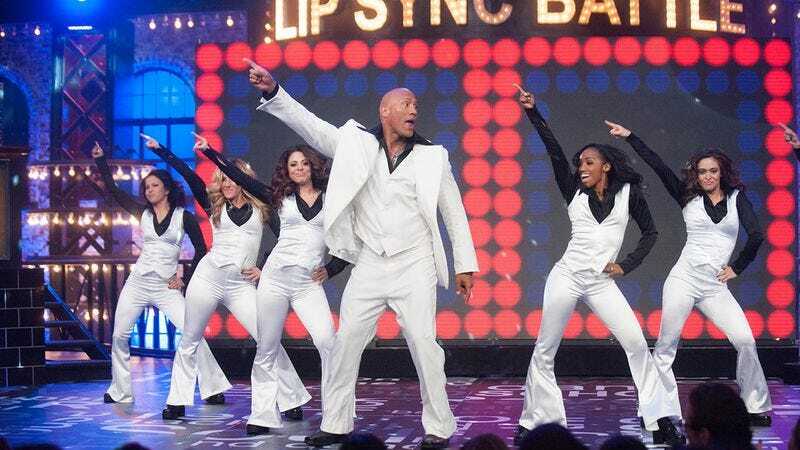 The second season of Lip Sync Battle just premiered a few weeks ago, but this early pickup means we can look forward to even more viral videos like the one where Channing Tatum “sang” Beyoncé or Joseph Gordon-Levitt “sang” Janet Jackson.